Each year, the Better Business Bureau (BBB) Torch Awards for Ethics recognizes outstanding companies who demonstrate integrity and a strong commitment to ethics in relationships with customers, employees, and the community they serve. The 2018 BBB Torch Awards for Ethics finalists will be celebrated, and four winners will be announced, at Hyundai Club at U.S. Bank Stadium Wednesday, October 24 at 2:30 PM. Dennis W. Schulstad, Brigadier General, USAF, retired, will be the keynote speaker. Jason Matheson and Alexis Thompson of MyTalk 107.1’s ‘Jason & Alexis Show’ will be the hosts. We are proud to be honored for our commitment to ethics. 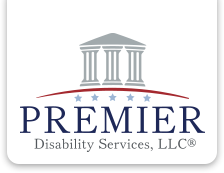 There are several hundred members of Premier, which include case managers, administrative and support staff, and attorneys that represent our clients nationwide. We assist people going through one of the most difficult and traumatic times of their lives. It is our goal to treat every person with the dignity and respect that they deserve, and to assist them to the best of our ability. Premier would like to thank our clients for reaching out and providing feedback to our company in order to improve our practices. September is National Leukemia, Lymphoma, and Myeloma Awareness month. Currently, there are approximately 1.3 million people in the United States living with or in remission from a “hematologic malignancy”, or blood cancer. In fact, blood cancers are the third leading cause of cancer death in America, with a new diagnosis being made every 3 minutes. September has been designated as the month to bring attention to the three most common blood cancers. Leukemia is a cancer of the bone marrow and blood; lymphoma is a cancer that starts in cells that are part of the body’s immune system; and myeloma is a cancer of the plasma cells. September is the month to help raise awareness, funds, and support for the many people who are impacted by these diseases. To be approved for Social Security Disability or SSI benefits for any of the above-listed cancers, a claimant first needs to have a physician-confirmed diagnosis as evidenced by extensive blood lab work, urine protein electrophoresis, or bone marrow findings. Social Security also has a special process for people with diseases that are particularly severe and can meet Social Security’s medical eligibility requirements with clear medical evidence. For example, acute leukemia and chronic myeloid leukemia (CML) in its blast phase are the two types of leukemia that are included in the Compassionate Allowance program, which expedites your application for faster review. If you have leukemia that doesn’t meet or equal the requirements of the Social Security Administration’s leukemia listing, you may be able to get benefits if you nevertheless suffer from the symptoms, complications, or limitations from your leukemia, cancer treatments, or stem cell transplant. To determine whether you can do your past work, the Social Security Administration will use your symptoms and limitations to create your Residual Functional Capacity (RFC) assessment, which is an opinion of what you can and can’t do because of your medical condition. To determine whether you can do “other work,” Social Security uses your RFC as well as your age, education level, and work experience in making the determination of whether or not you can work any job. If you or someone you know is unable to work due to a medical condition(s), please contact us for a free evaluation of your claim! How are Administrative Law Judges Hired? People often wonder how the Social Security Administration (“SSA”) selects the Judges to hear their disability claim. Up until July 10, 2018, Administrative Law Judges (“ALJ”) were hired through a competitive process that was conducted by the Office of Personnel Management. It involved an application and series of online and in-person tests that took place in the D.C. area, followed by a structured interview. The process was lengthy and could take up to a full year. Once all the results were in, the ALJ candidates would receive a score. If the score was high enough, the candidate would be placed on an ALJ register and potentially receive an interview at one of the Federal agencies looking to hire an ALJ, if the location of the position matched a location that the ALJ candidate selected as an area he or she would be willing to serve. This all changed on July 10 2018. On said date, President Donald J. Trump signed an executive order excepting ALJs from competitive service and assigning the hiring process of ALJs to the individual agencies where they would serve. Unfortunately, as the Office of Personnel Management has historically competitively screened the ALJ candidates, the individual agencies do not yet have a process in place for hiring ALJs at this time. The fear is that this change may impact the already exceedingly long backlogs at the hearing offices. This significant order was issued at least in part due to the Supreme Court’s recent decision in Lucia v. Securities and Exchange Commission, No. 17-130 (June 21, 2018) which questioned whether ALJs had been properly appointed in line with the Appointment Clause of the U.S. Constitution. The new concern is that replacing the hiring of ALJs with a noncompetitive or meritless process will open the door to a political cronyism. A bill has been introduced by Senators Maria Cantwell, D-Wash. and Susan Collins, R-Maine, to restore a competitive process that would be overseen by the Office of Personnel Management, but defer to the Lucia decision by requiring that an agency head make the final appointment of the ALJ. All we know for now is that ALJ candidates who have already been on the hiring register received emails earlier this week letting them know that the register was now closed. Other than that, there is speculation as to the next steps the agencies will take to hire new judges and to whether the proposed bill will get the traction it needs to restore the ALJ hiring process back to a competitive format.